It’s November! The leaves have changed, the air is brisk, and it’s time to pull out your sweaters that have been hiding away in the back of the closet. My laptop has been in need of a sleeve or “sweater” if you will for a long time but I have just been too cheap to shell out the cash and buy one. Last week I posted about my Wine Bottle Sweater and thought why not make one for my laptop while I’m at it. This project doubled as useful computer sleeve and yarn stash cleaner, unfortunately it won’t provide any real protection against falls but it sure is cute! I just dug out some fall leaf and snowflake inspired colors I already had and knitted away. I designed this pattern to fit my 11 inch Macbook Air (the smallest one they have) but it can be easily customized to fit any laptop. 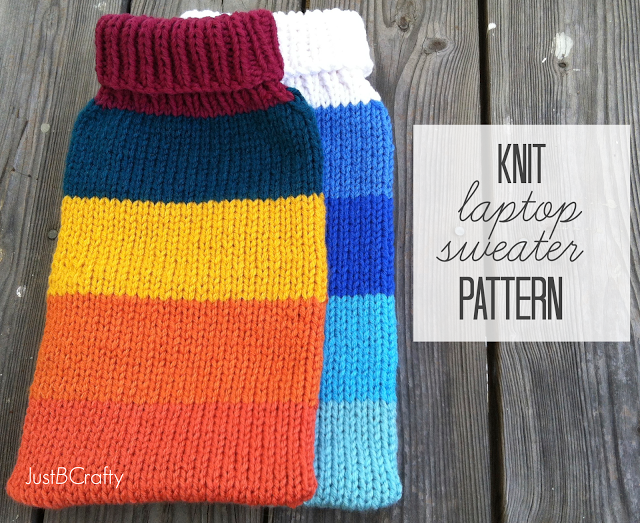 The actual measurements of my computer are 11.75 x 7.5 inches and the finished pattern measures 11.5 x 7.5 inches (turtleneck collar not included in measurement). Modify this pattern to fit any laptop! So, to modify this project to fit any laptop, measure the depth of your computer. 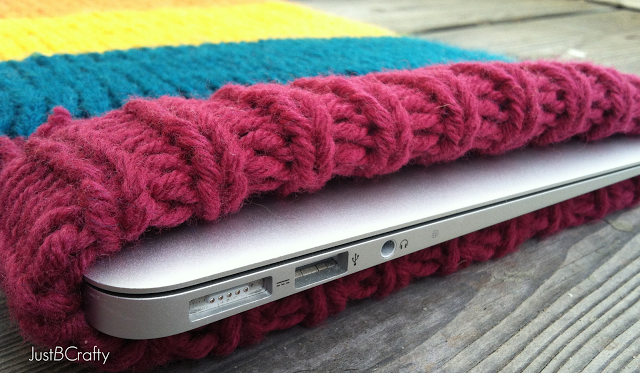 For each inch your computer measures over 7.5 inches, cast on 3 extra stitches. If your total cast on stitch count ends up being an odd number, add one more stitch to make it even. It’s important to have an even number of stitches for the ribbing of the turtle neck. A printable PDF version of this pattern is available for purchase here. Bind off loosely in ribbingStitch up the bottom edge with a yarn needle or use a crochet hook to slip stitch the seam closed like I did here. If this post was helpful or inspiring, like JustBCrafty on Facebook! 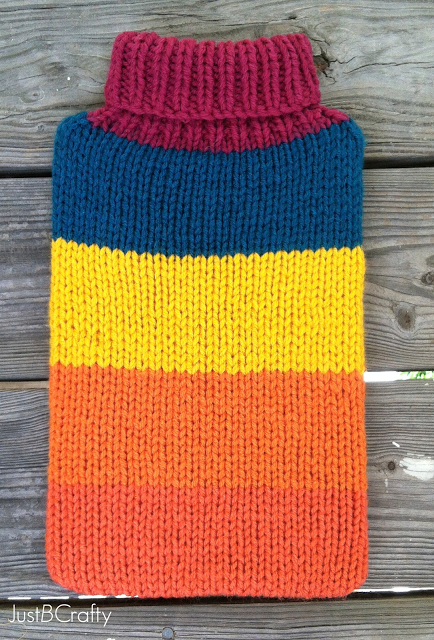 This is adorable and it looks like it would be a super easy project for a beginner knitter. Aka perfect for me. 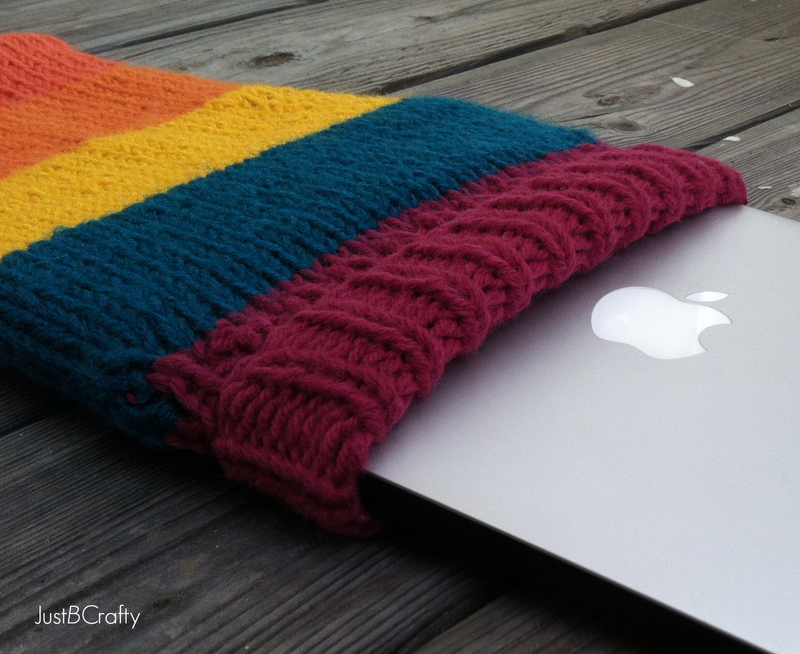 Also, I am honestly envious of this laptop's sweater. Hahah, thanks! It is super easy to make and doesn't take very long to finish. 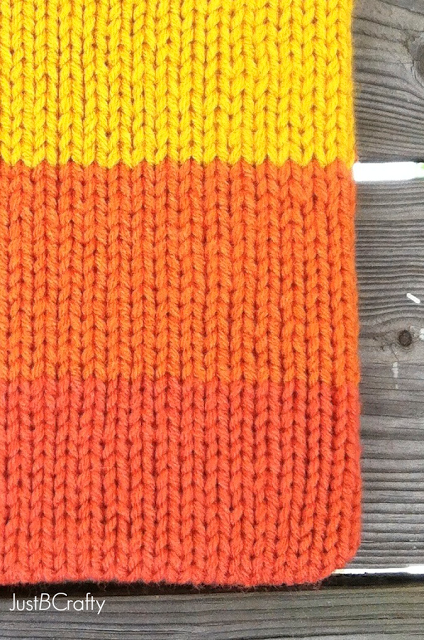 I love these colours, and your knitting is so neat and even, lovely. You left a lovely comment on my owl brooch, thank you, I'm looking froward to seeing your teeny tiny crochet projects. It's nice to find another knitter/crocheter so many people pick one or the other. Thank you Julia, I'm so glad you stopped by! And that's so true that most people pick one or the other, I can't imagine not doing both! Thanks Kayla, checking it out now! Love this design but have been looking for a turtle neck/polo neck insert to slip over my head and insert into my coat back & front to keep me warm in the cold weather. I thought this looked like one! I used to wear one in the early 1960s and have at least 2 friends that are trying to source a pattern for one. Could you or anybody tell me where to locate one. Those are/were called "dickies" so web search with care! Oh my word yes I will be very very careful!!! Phew maybe thats why I wasnt told the name of it as a child!! Thanks for that. Hi Ann, no I'm sorry but I don't know of any patterns for a sweater insert off the top of my head but I do hope you find what you're looking for!! Hi, I am interested in doing this project but just wondered if you used the US 10.5 or the 7mm needles? (As they are in fact slightly different sizes). And also how much of each ball of yarn did you use up roughly? As I might like to use 1 or 2 colours. Hi Nes! I used US 10.5 needles. At the time I wrote this, I believe the needle size conversion chart listed 7mm as the equivalent size. Also, I unfortunately do not have the exact yarn amounts for this project – this was one of my first written pattern designs. 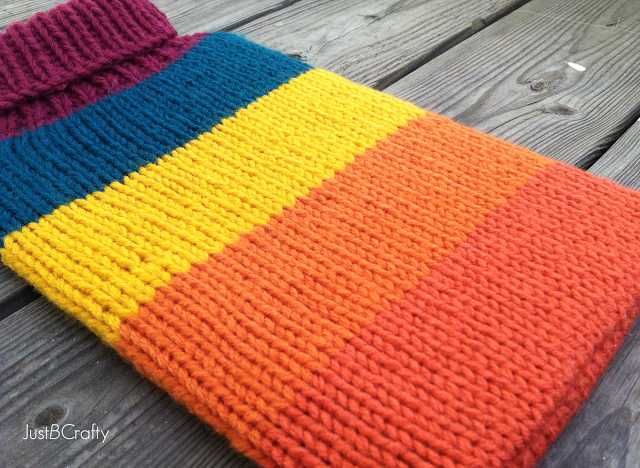 It did not use very much yarn, but the pattern calls for doubling your strands to make it thicker. It would be beautiful with 2 colors! Hope this helps!